Will the World Become Vegetarian "By Force"? "El mundo se hara vegetariano por fuerza"
Home » The blog » Living planet » Will the World Become Vegetarian “By Force”? Will the World Become Vegetarian “By Force”? Will The World Become "By Force"? The year is 1982. I am sitting in a small and cozy vegetarian restaurant in Quito, Ecuador. The few tables are covered in glass, under which a newspaper clip is pressed. The title of the article is: “El Mundo Se Hara Vegetariano Por Fuerza” (or perhaps “a la fuerza”? My memory fails me here), meaning: “The world will become vegetarian by necessity”,”by force” of reality. It is inevitable. It is bound to happen. I was struck. The Indian cultures, predominant in Guatemala and Ecuador where I was traveling, were clearly mostly vegetarian “by force”. Godelia, my indigenous weaving teacher, had never even been to the nice organic restaurants in her village, San Pedro La Laguna. Those were designated for us, the tourists. Her daily diet consisted of “yerba” (greens), corn tortillas and frijoles (beans). Nonetheless, here in this small, marginal restaurant in a country that IS, indeed, largely vegetarian “by force”, a truth that could have saved the world at large was humbly publicized. Why don’t we all become vegetarians NOW – the article declared – instead of being forced into it by global catastrophes? It is better for you, it is better for “el planeta”, it is essential for everyone’s survival…If done preventively, it can be done right. Finding a vegetarian restaurant was a real bonus for me on that memorable trip to Latino America. Actually, in 8 months of intense traveling I came across only two. The other one was in a remote industrial neighborhood in Guatemala City, and was run by an old German with a bad eye I suspected might have had a dubious past… Nonetheless, the food was wonderful. The restaurant was under the auspices of the Seven Day Adventists, a religious group with a reputation for longevity and good health. The Seven Day Adventists are counted as one of the longest-living groups in the world, collectively known as The Blue Zones. Vegetarian Adventists outlive their non-vegetarian counterparts by several good years. Customers to this restaurant had to first answer questions about their health and eating habits. Then the staff would adjust a meal on an individual basis to achieve best health results. A sip of onions and garlic tinctures was added to every meal. The yellow and orange concentrates were also for sale. They were professed to cure almost everything, and recommended to be taken on a regular basis. New plant-focused diet would ‘transform’ planet’s future, say scientists. Or just “not enough people” have been listening for the past 50 years? The book “Diet for a Small Planet“ was first published in 1971! The first part of the book gives the theoretical background for “Environmental Vegetarianism“. The second part of the book elaborates easy-to-prepare tasty meatlless recipes. According to Wikipedia ,”Diet for a small planet” was the first major book to note the environmental impact of meat production. Frances Moore Lappe argues that world hunger is not caused by a lack of food but by bad food policy. The book was not collecting dust on the shelves, but actually became a bestseller selling millions of copies. Still, the message did not reach enough audience to significantly impact things. The interest lobbies of the meat and junk food industries worked hard to subdue the central message with mountains of confusing verbiage and paid-for biased research. It is very commendable that a group of reputable scientists came up with this diet now, but there is really not much “new” about it! The picture above shows the typical treeless landscape of the Shetland Islands. Inadvertently and mostly out of ignorance, Neolithic people, Viking settlers and modern people had destroyed the ecology of most of the North Atlantic islands they came to inhabit. In many cases, the damage was irreversible. From Ireland through the Scottish Isles, the Faroes and all the way to Greenland, forests gave way to pasture, resulting in eroded soils and peat formation. I will write more about this in the upcoming post of this series -“What If”. It might be easier to convince people to become vegetarian for their own personal health benefits. It is harder to get them to understand how their eating habits affect the Planet as a whole. Some people become vegetarians or vegans because of concern about cruelty to the animals directly involved. It requires even a wider view, being informed and intellectually curious, to see how other beings are affected in the less direct and obvious way. If the beauty of natural habitats does nothing to many urbanites, if the extinction of wildlife matters not to many, if most people cannot answer the simple questions about where their food comes from and how it is produced, if authorities lie or hide information about climate change, habitat destruction, loss of biodiversity etc., and if many simply “just don’t care”, then perhaps “God’s wrath” in the form of major hurricanes and storms, wildfires, etc. would be the only “force” to move some to eventually act. And some of it is simple. As shown by the writers quoted above, an individual change of diet can have an accumulative beneficial impact on the entire planet. No need to follow the extreme austere diet as prescribed by the scientific group. Not when we still have a choice, at least! Austerity does not seem to work psychologically, as we know from various recent examples. Not for the majority of people. Some people have always chosen to be austere – monks, fakirs, etc., but their effect on the global ecological systems is small to negligible. For the majority, it is more advisable to consciously monitor what we eat and transform our habits gradually so the change will be sustainable. Bottom line: cutting down on meat, poultry and processed foods, moderating our intake of dairy products, increasing consumption of plant-based foods like fruit, vegetables, whole grains, legumes, nuts and seeds. That’s it. A good guideline to follow is Dr. Fuhrman’s food pyramid with an approximate 5% allowance for animal products, 10% allowance for minimally processed foods. His book “Eat to Live“ was first published in 2003. It advocates a diet very similar to the one recommended by the “revolutionary” scientist group, but in a more “digestible” form. He has many other books about nutrition, runs health retreats to help people change their eating habits, and has a dynamic website. There are many other good, decent nutritionists with similar outlooks on diet and environment, and millions of great delicious vegetarian recipes in cookbooks and all over the Internet. Choose whatever works for you. Don’t suffer. Enjoy! Help preserve the planet and all beings on it! I was a full-fledged lacto-vegetarian for about ten years in my twenties and early thirties, and a mild pescatarian (vegetarian with some fish and seafood) for the next 30. Taken togehter, it adds up to forty years of a meatless, mostly plant-based diet. Intermittently, I went through periods of veganism as well. I can’t think of the time I last ate “red meat”, but two to four times a year I have a turkey shwarma or a chicken liver for the iron. I take B12, iron and vitamin supplements intermittently on an irregular basis, and eat some eggs and dairy products, mostly goat and sheep derived, (except for the chocolate… ). Why are plant-based diets not taking over yet? *A note of caution: A predominantly vegetarian diet has to be more consciously balanced and monitored than a meat diet. Junk vegetarian food can be worse for your health than a traditional meat meal, and not too great for the health of the Earth either. A good rule is to keep away from processed foods as much as possible. 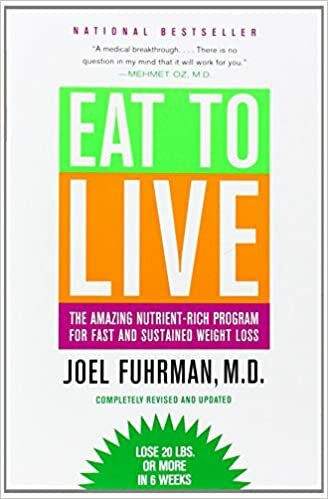 Guidelines like Dr. Fuhrman’s books are recommendable. **In very cold climates a plant-based diet might not be feasible. Is Australia sustainable? 250 years of bad agricultural practices informed by colonial thinking brought country to the verge of collapse. Land degradation, species extinctions, salinization. Aboriginal influence and genocide is discussed, as well as new schools of thought and action striving to correct and heal. Irreversisble ecological damage in the northern isles? How do the British and Scottish islands, Iceland and Ireland stand? Defining reversible. Sheep obsession, "sheepwrecked" treeless landscapes, green wastelands, soil degradation. Findhorn eco-agriculture as a possible model for redemption? Environmentally Sustainable Diet – Why is it not Taking Over Yet? Environmentally sustainable diets are not taking over yet. Powerful lobbies and cultural habits are in the way. Concepts of gender, class & diet vary culturally. I describe different attitudes towards meat eating in different societies, showing that a heavy-duty meat diet it is not an inevitablity. We can, and must, change! Environmentally Sustainable Diet - Why is it not Taking Over Yet? next post: Environmentally Sustainable Diet – Why is it not Taking Over Yet?